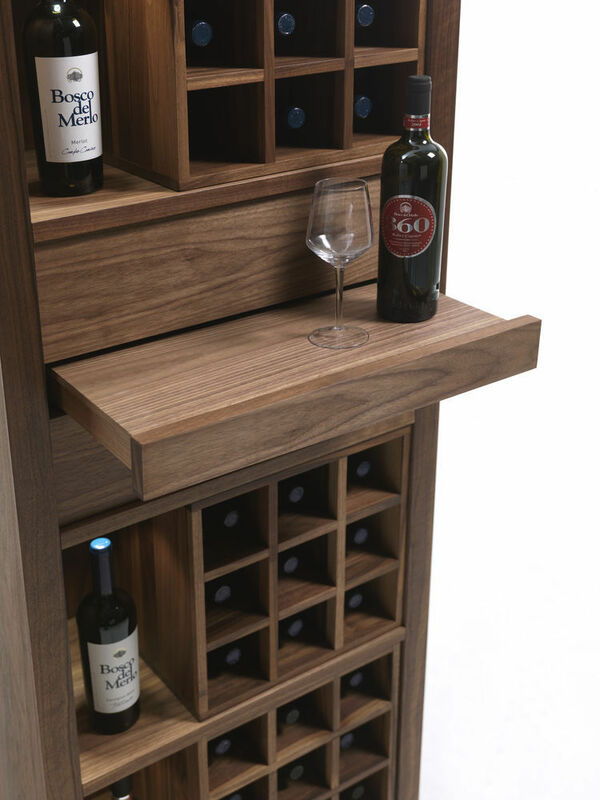 Wooden highboard and wine or beer cabinet. 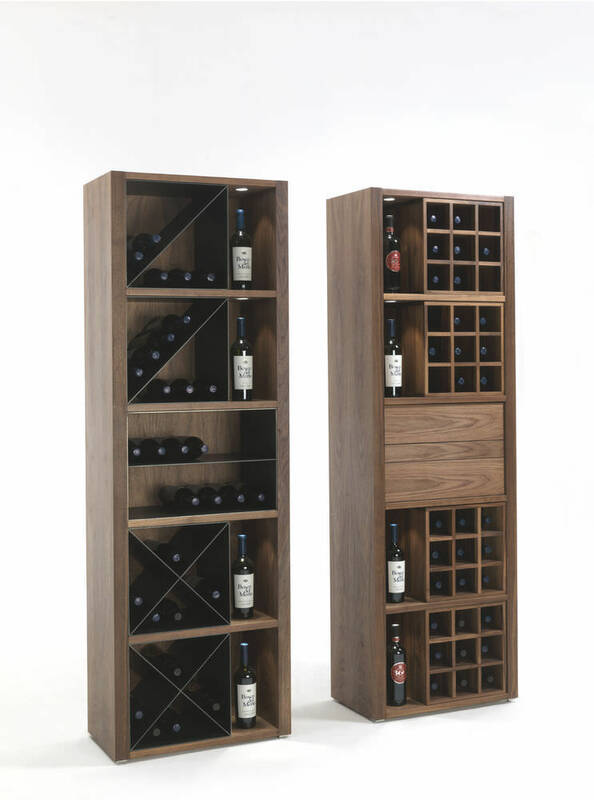 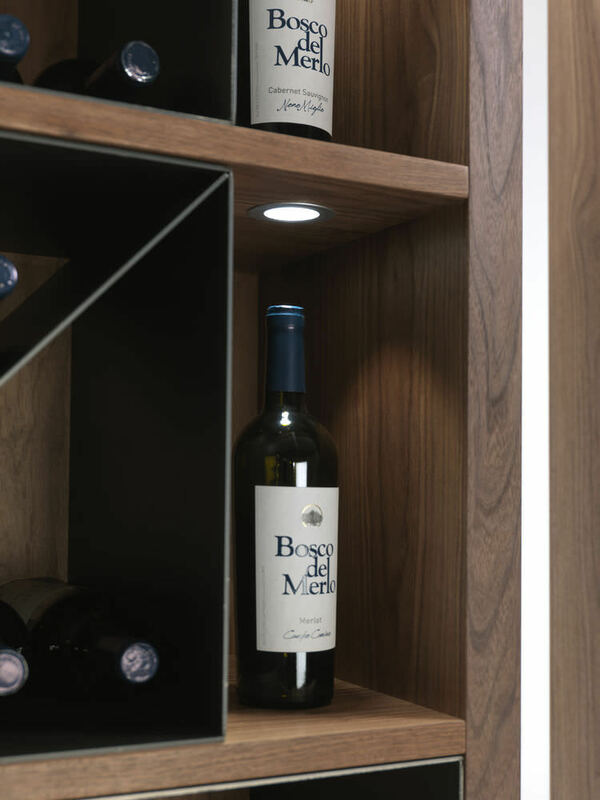 CRU comes with accessories in both wood and metal to meet the customer’s needs: internal horizontal shelves in wood with iron diagonals (single or double) or with a wooden grid for bottles or a set of drawers with a shelf for glasses. 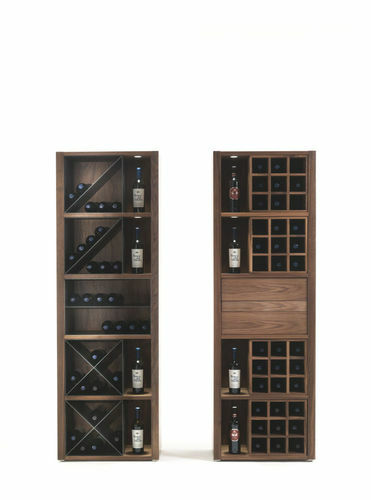 CRU is very versatile, being easily adaptable to a range of both private needs and public places, like restaurants, pubs or wine bars.